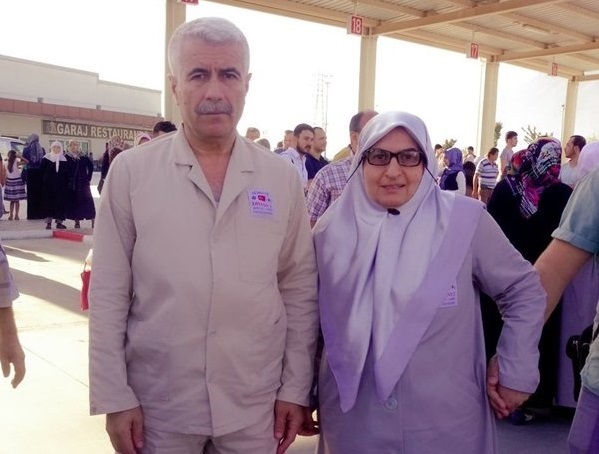 A 58-year-old prospective Hajj pilgrim was reportedly detained on coup charges at İzmir’s Adnan Menderes Airport on Thursday night. According to a Twitter account named Kaç Saat Oldu? a woman identified as Hanife Işılak was taken into custody while she was waiting to get on a flight to Jeddah, on her way to the holy Muslim city of Makkah in Saudi Arabia. The suspect was reportedly detained as part of an investigation into the Gülen group, which is accused by the Turkish government of masterminding a failed coup attempt on July 15, 2016. She is accused of using a smart phone application known as ByLock. This is not the first time a prospective Hajj pilgrim was detained on coup charges at airport. On Aug. 10, Kıymet G. was taken into custody while she was waiting to get on a Turkish Airlines flight for Saudi Arabia. The military coup attempt on July 15, 2016 killed 249 people and wounded more than a thousand others. Immediately after the putsch, the Justice and Development Party (AKP) government along with President Recep Tayyip Erdoğan pinned the blame on the Gülen movement and initiated a widespread purge aimed at cleansing sympathizers of the movement from within state institutions, dehumanizing its popular figures and putting them in custody.